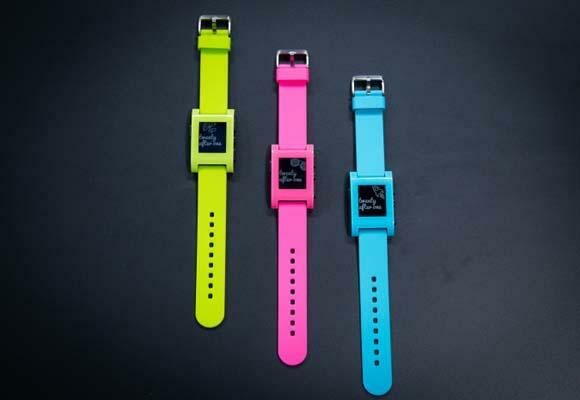 Pebble has released three limited edition smart watches, including Fresh, Hot, and Fly. If you like vivid colors, the three smartwatches should be able to catch your eyes. 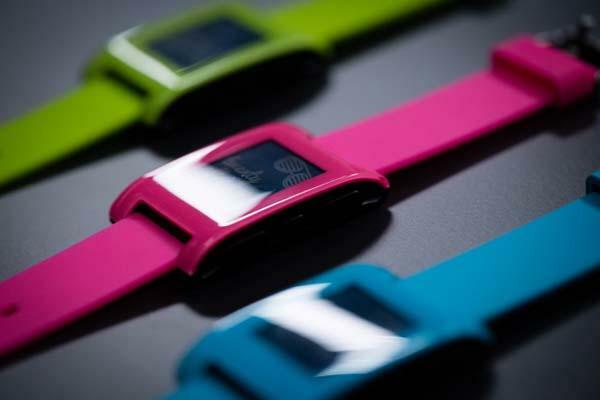 As shown in the images, each of the three limited edition Pebble smart watches sports an eye-catching watch case cover and straps in a bright color, and their covers and straps are interchangeable in order to meet your style. Moreover, same as other Pebble wrist watches, the limited edition smart watches also feature built-in Bluetooth 4.0 technology, so you can easily pair the watch with your smartphone, and using a 1.26-inch, 144 x 168 pixel e-paper display with LED backlight, the smart watch is able to show you various info from your smartphone such as notifications, emails, messages, incoming calls and etc, and you can also check your pace or control your music playback during jogging. Apart from that, other features also include 5 ATM water resistance, 3D accelerometer, e-compass capable, ambient light sensor, and built-in rechargeable battery lasting 5-7 days on a single charge. Each of the limited edition Pebble smartwatches is priced at $150 USD. If you like the design, jump to Pebble official site for more details or check out the following demo video first.